Does anyone else have a certain type of music that they listen to as the season changes? It's almost impossible for me to listen to country during the winter and holiday music in the summer. Right now, I'm listening to music that seems to be right in the middle of a summer night out and 'The Nightmare Before Christmas' soundtrack. Or maybe I'm just super weird. Who knows. 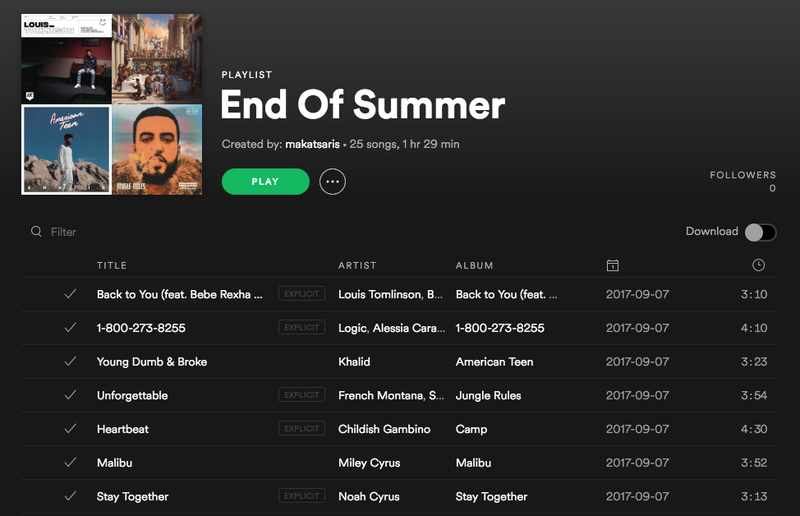 Anyways, here's my end of the summer playlist brought to you by Spotify.